Our tours are fabulous for families of all ages and they are perfect for newcomers... we give free paddling lessons at the beginning of each tour! ​​We have 13 manatees in the Silver River!!!! ​We have sit in and sit on top single and tandem kayaks. Our guided tours will tell you the history of Silver Springs, show you where the Hollywood films were made and identify all the beautiful wildlife! We take many pictures of your group and post them on Facebook for you to download! Check us out on TripAdvisor, we have over 125 Five Star reviews! ​Silver Springs Kayaking LLC tours leave the Silver Springs State Park kayak launch at 9:30AM (by reservation only). We go at a leisurely pace, encourage you to take lots of pictures (we take lots of pictures ourselves!). Silver Springs Kayaking, LLC copyright 2018. All rights reserved. Site designed by LaunchWheel. 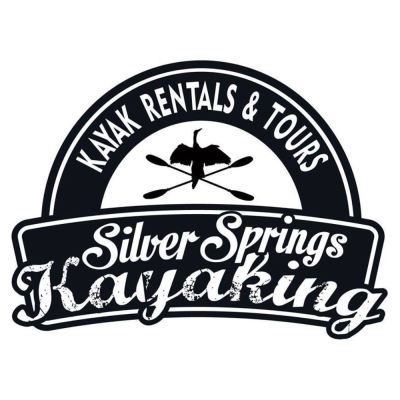 or Complete and Submit Contact Information form here.​ Please contact Silver Springs Kayaking LLC a few days inadvance to reserve a date.